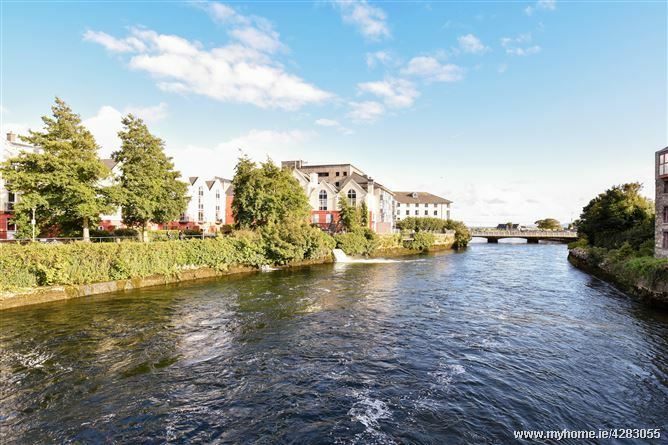 Number 17 The Waterfront is a stunning 3 bedroom duplex apartment boasting breath taking views over the River Corrib, The Bridge Mills and towards Galway Cathedral. 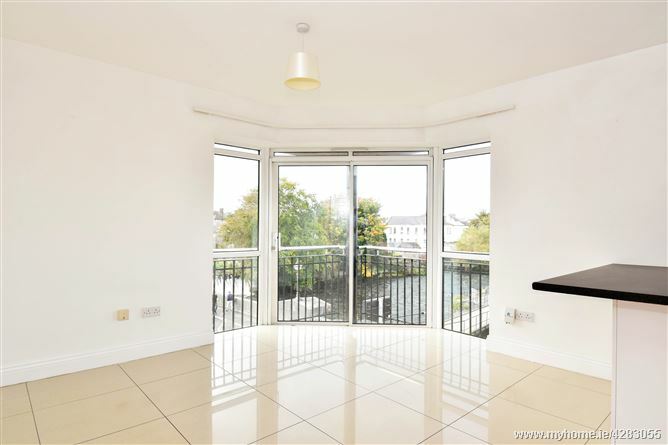 This bright and spacious apartment is situated on the top two floors of this superbly located waterfront development. 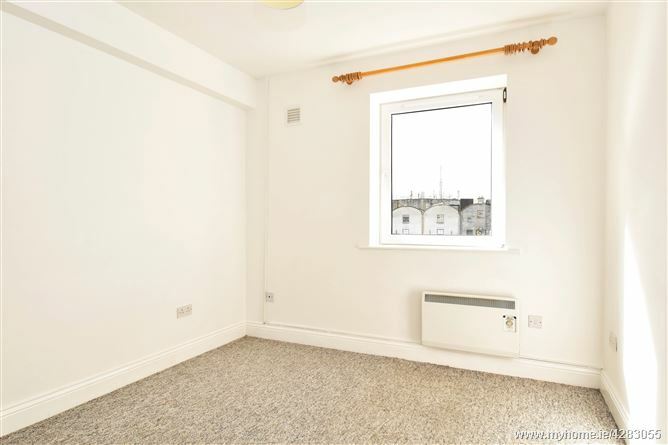 The accommodation which extends to over 900 sq. 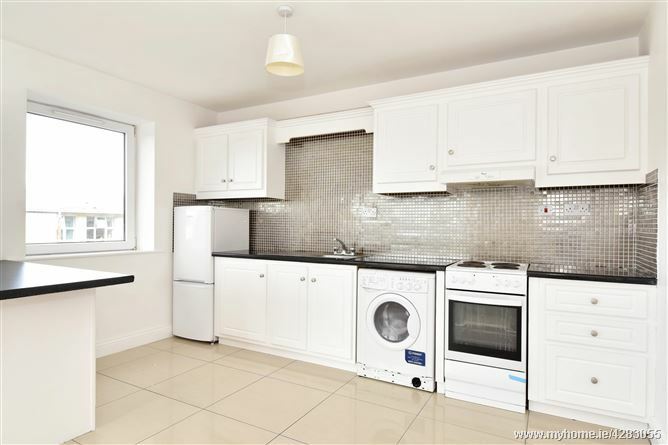 feet comprises a hall, open plan living room/ kitchen, 3 bedrooms (master en-suite) and shower room. 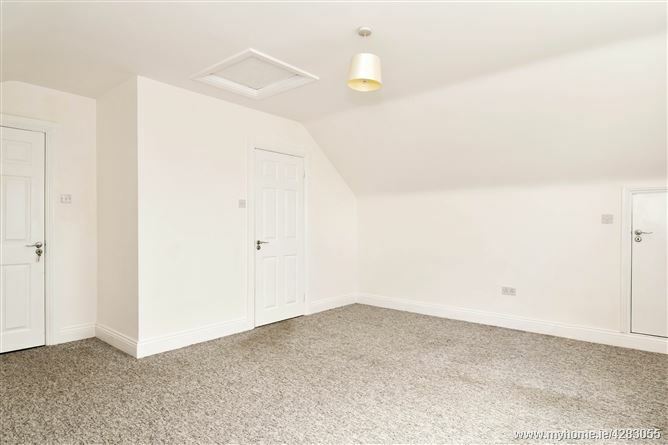 Features include lift access within the building, electric heating, porcelain tiled floors to the hall and living room/ kitchen and large eaves storage space accessed from the master bedroom. 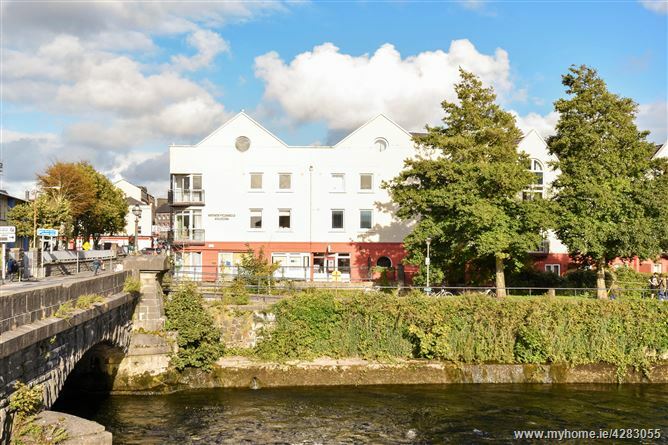 The property enjoys a truly enviable city centre location directly overlooking the River Corrib. 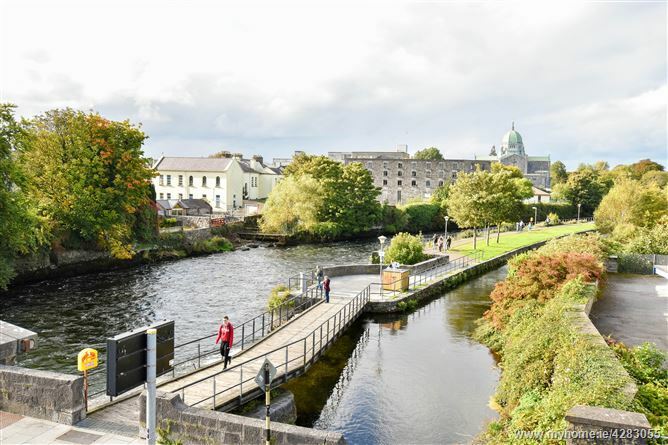 Galway’s vibrant city centre is on the doorstep with a host of eateries, bars, shops, hotels and public transport. 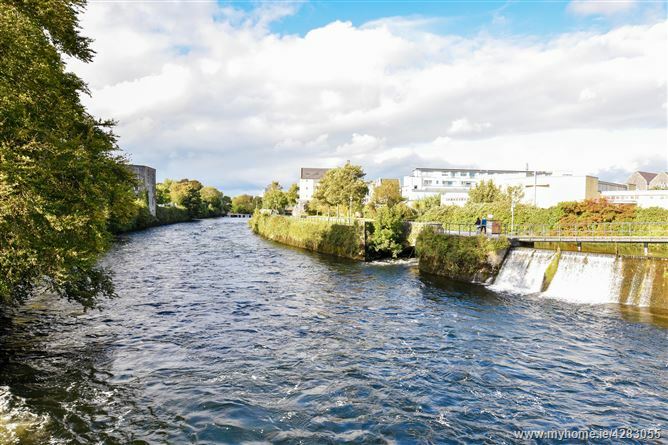 NUIG and UCHG are both within a very short walk. 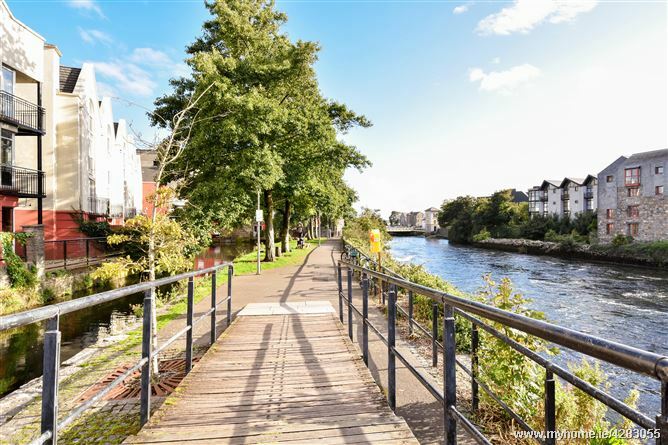 This is city centre living at its finest. 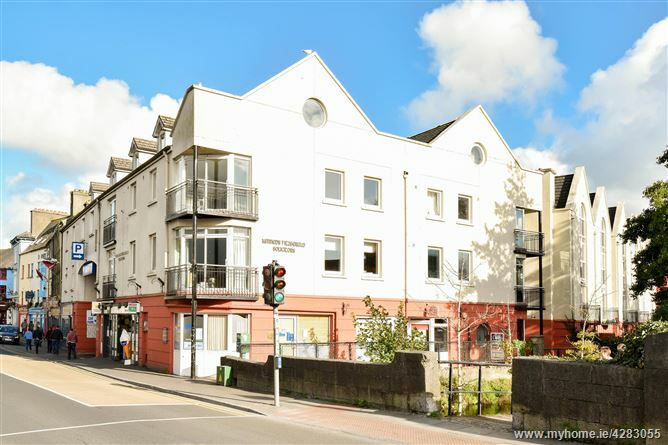 Viewing is highly recommended for those looking for a city centre home or indeed any investors looking for a gilt edged investment opportunity. 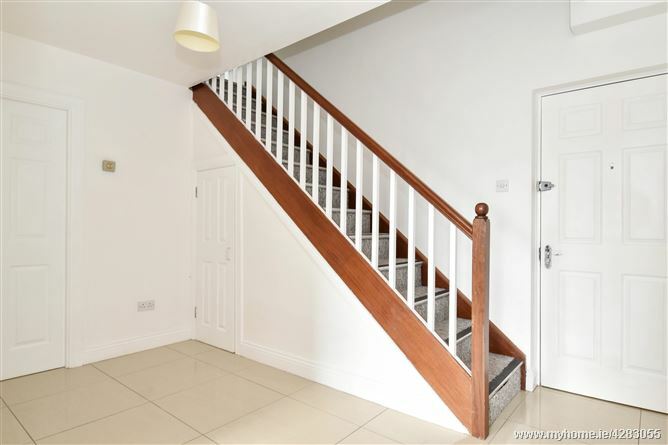 Hall:	With porcelain tiled floor, hotpress. 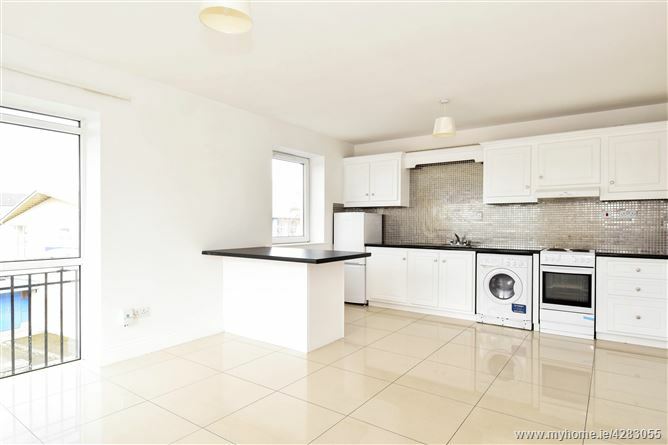 Kitchen:	18’10” x 13’ Porcelain tiled floor, sliding patio door to balcony, range of fitted wall & floor units, stainless steel sink unit, mosaic tiled splashback, breakfast bar. 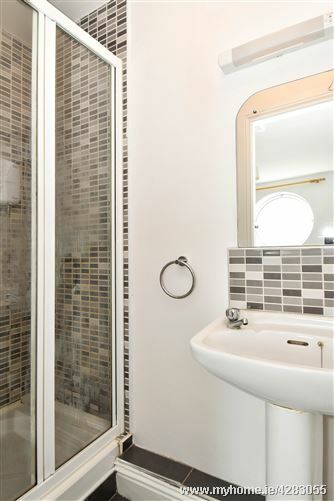 Shower Room: Shower, WC, whb, tiled floor, part-tiled walls. 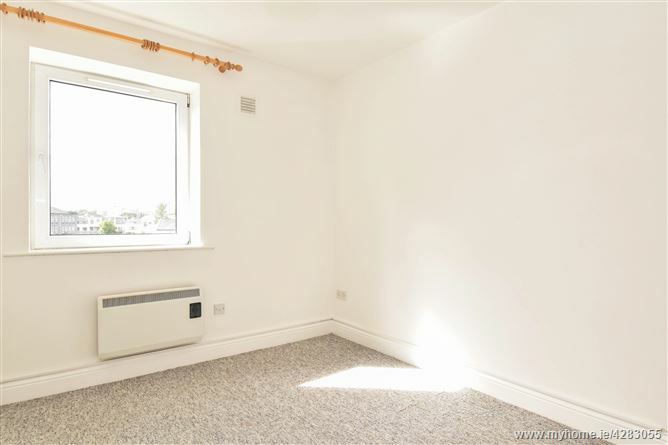 Bedroom 3: 16’1” x 13’ Carpet floor, access to eaves storage space, large porthole window. 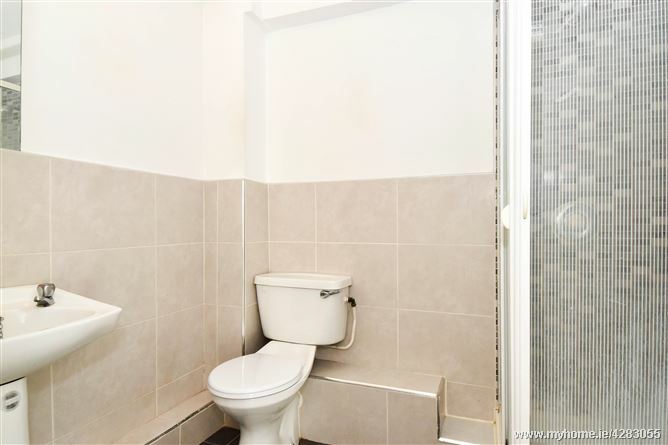 En-Suite: Shower, WC, whb, tiled floor.